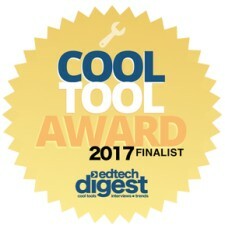 Los Angeles, CA, March 29, 2017	(Newswire.com) - Fulcrum Labs' Personalized, Adaptive Learning and Predictive Analytics (PALPA™) SaaS platform has earned the highest accolades in this year's EdTech Digest Awards, being named a finalist in three Cool Tool categories: Emerging Technology Solution, Workforce Skills or Corporate Training Solution, and Personalized Learning Solution. The awards program, which is in its seventh year, showcases the the best and brightest apps, platforms, products and people shaping the future of education and workforce training. "Adaptive technology is changing the way learners engage with the learning experience, and we are grateful our ideas and innovations are being recognized. These awards are a testament to not only what we are doing, but where we are going," said Patrick Weir, CEO of Fulcrum Labs. "Education can no longer be a static experience targeted to the masses, but rather must focus on the motivations and learning goals of each individual. By personalizing the learning process, we can increase engagement and mastery in a way that boosts confidence and makes the best use of time for each learner." From high-stakes test prep, to higher education, to corporate training, Fulcrum Labs amplifies traditional courseware design with technology that can personalize and adapt to each individual learning experience. Fulcrum's platform continually assesses learners progress. The algorithm targets the “learning sweet spot,” optimal challenge, while immediate feedback helps close any potential knowledge gaps. In addition, Fulcrum Labs’ predictive analytics engine allows businesses and institutions to measure exactly what the learner understands and pinpoint issues, down to an individual learning objective, before they become risks. 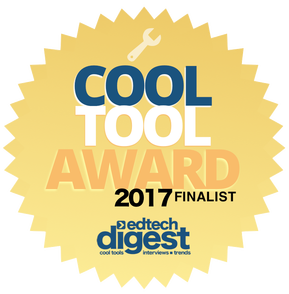 The EdTech Digest Awards Recognition Program acknowledges the cool tools, inspiring leaders and innovative trendsetters in education. A distinct panel of thought leaders, journalists, educators, entrepreneurs, technology coordinators and forward-thinking change agents evaluated each entry. Founded in 2014, Fulcrum Labs is an enterprise grade Personalized, Adaptive Learning and Predictive Analytics (PALPA™) SaaS platform designed for organizations tired of DIY instructional tools and death by PowerPoint. Fulcrum couples proven cognitive science and adaptive learning technology with the storytelling power of award-winning animators and production veterans to bring engaging content to the learning and development sector. Fulcrum Labs’ mission is to turn students and employees into learners and confident subject matter masters. For more information, please visit www.the-fulcrum.com.